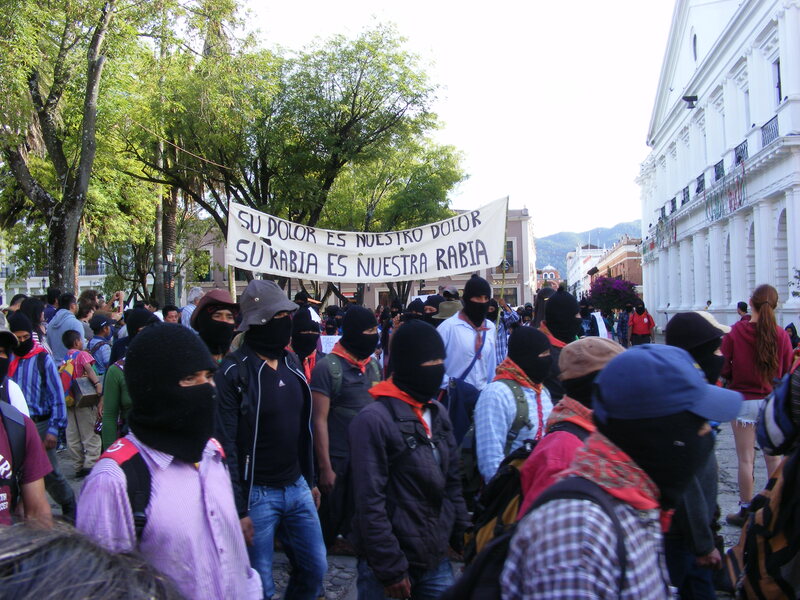 In a new communique published on 19 October, the Zapatista Army for National Liberation (EZLN) announced new actions to be taken on 22 October to support the 43 disappeared students from Ayotzinapa, Guerrero. In observance of said actions, they will also affirm the demand for the release of the Yaquis Mario Luna Romero and Fernando Jiménez Gutiérrez. The communique notes the following: “AS PART OF THIS GLOBAL DAY OF ACTION, THE ZAPATISTA PEOPLE WILL ILLUMINATE SOME OF THE PATHS THAT OUR STEPS TAKE WITH OUR SMALL LIGHT. AT THE EDGE OF HIGHWAYS, DIRT ROADS, AND GAPS, WE ZAPATISTAS WILL UNITE OUR INDIGNATION WITH THAT OF OUR BROTHERS FROM AYOTZINAPA AND THE HEROIC YAQUI PEOPLE. This entry was posted on Sunday, October 26th, 2014 at 8:04 am and is filed under Chiapas, Disappeared, EZLN, Guerrero, Human Rights, Human Rights Defenders, Indigenous people, Mexico, Paramilitary, Political Prisoners/Prisoner of Conscience, torture, Women, Youth. You can follow any responses to this entry through the RSS 2.0 feed. You can leave a response, or trackback from your own site.